"Body language is important. I made sure to ask the questions standing up; he wasn’t going to have a position of authority over me." 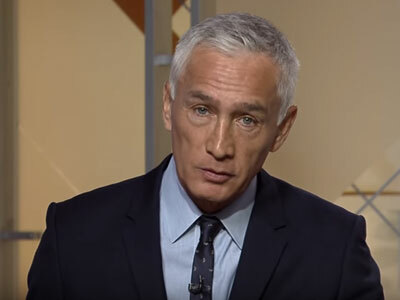 Although it happened nearly a year ago, Univision and Fusion anchor Jorge Ramos‘ removal from a Trump press conference in Iowa last August still lingers in the memory as a key episode in the long, hourly-installment saga that is the Trump presidential campaign. I was at my office midmorning, and I tried to make a phone call. I couldn’t. My phone kept getting thousands of messages and calls. I’ve never been attacked that way before. The vast majority of the messages were negative—the worst insults. Body language is important. I made sure to ask the questions standing up; he wasn’t going to have a position of authority over me. I was wearing a mic—my voice was going to be on the same level as his. I knew going in not to stop asking questions, because he interrupts you constantly by saying, “Excuse me, excuse me, excuse me!” So I was going to continue asking my questions right until the end. And that’s what happened. Ramos was both canary and oracle for Trump’s interactions with the press, which would grow increasingly antagonistic as a list of of orgs with revoked press credentials grew, as did reporters who found themselves being publicly insulted by Trump, individually and collectively. Back then, some were wondering if Ramos had crossed a line of decorum. Months later, it would turn out, all it could take to earn a spot on the Trump media blacklist was some hurt feelings on Trump’s part.